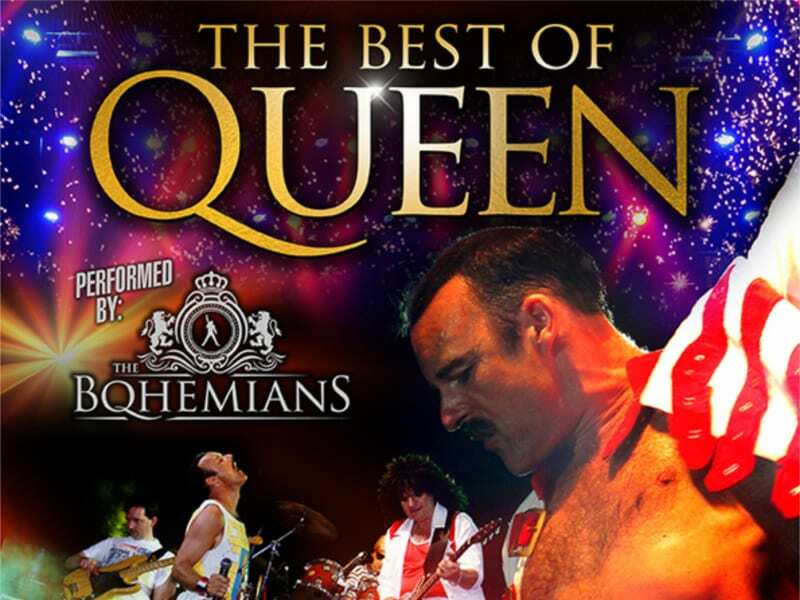 The Best of Queen show features a selection of the most loved and iconic classics from across Queen’s entire back catalogue, creating a live stage show that really catches the essence of this most incredible British band. The Bohemians have been paying homage to the world’s most theatrical and dramatic rock band, Queen, since 1996, and in that time have had a huge impact on audiences across the world. Front man and pianist Rob Comber’s outrageous stage antics and personality make him perfect to play an uncannily realistic ‘Freddie’, with just the right look and stage persona. Rob is joined on stage by an enormously talented band including Christopher Gregory, who brings all the electric guitar virtuosity required to play a very convincing Brian May. Their attention to detail is truly impressive. For over four decades millions of fans have been enjoying the music of Queen. The band released a total of 18 number one albums, 18 number one singles and 10 number one DVDs, with estimates of their record sales ranging from 150 million to 300 million.